is our Shop Manager and Senior Graphic Designer. 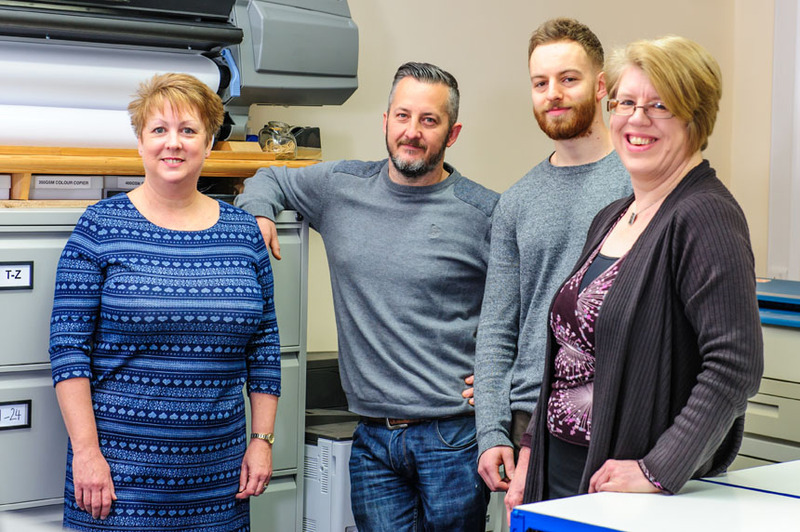 She has over 25 years experience of designing for print, fourteen of those with Copy-write, Shrewsbury. Dawn graduated from the University of the West of England in Bristol with a degree in Graphic Design in the late 1980s and has experience in producing artwork for both litho and digital print work. Outside of work, Dawn loves crime (not committing it - thankfully! ), so much so she studied Criminology in her spare time and has now gained her second degree. is our Print Finisher. Anita has worked within the print industry for over 30 years, and has been with Copy-write virtually from it's beginning 30 years ago. She had an eye for detail and will ensure that no job goes out to our customer unless she is 100% happy with it! is out MacOperator and Digital Printer and has 29 years experience working in print both in Shropshire and Brighton. Darren is multi-talented too - being a published musician and songwriter, as well as being an assistant coach for a local under 14s football team. Darren will be happy to discuss your printing needs and work out the most economical way of producing your printing requirements. is our newest member of staff. Daniel graduated from Wolverhampton University in 2012 with a degree in Illustration. Since graduating, Daniel has worked for a design studio in Staffordshire, and we are excited to welcome him to the Copy-write team, where we can make use of his design, illustration and photography talents.